Material: Fluorescent Yellow - Laser ONLY! 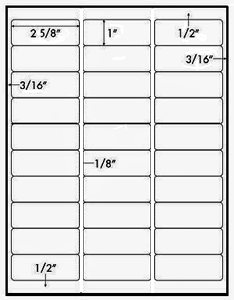 This label 1" x 2.625", 30 per sheet, and is the same size and layout as Compulabel® 311152 and Avery 5972. 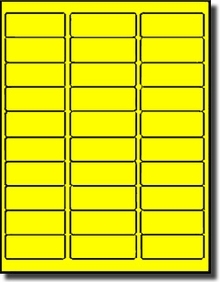 At LabelOutfitters.com you can get 100 sheets for 98 cents more than 25 Sheets of Avery 5972 Fluorescent Labels. Make Warning Labels that really Stand Out. Help important messages be seen.